Sewing can be a lonely hobby, but sewing groups are a great way to get out of the house and check out other people’s work. Here are eight reasons to get together with a sewing group! Everything from formal seminars to informal coffee-chats, it's easy to pick up new skills when you’re working with a sewing group. Many quilters and crafters were self-taught or used YouTube to advance skills learned in formal classes. 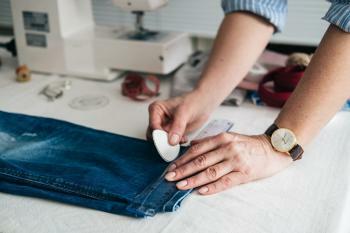 When you meet in groups with other sewing enthusiasts, you can really talk in-depth about techniques and useful tools. You can also get insight from other group members on which particular tricks or skills save the most time or energy. You can also get advice on how to troubleshoot your sewing machine. Sewing groups are well-known for contributions to charitable events and organizations. You can stitch quilts for a good cause or sew crafts for a family in need. 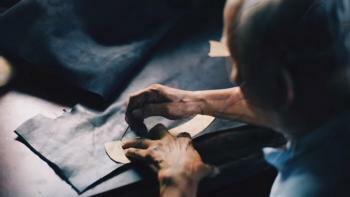 With a bit of skill and a few sewing notions, you can make a big difference in your community. Professional guest speakers offer valuable information which can immediately impact how you sew. These sessions are typically accessible to group members. You'll likely get the chance to meet fabric suppliers, authors and pattern designers who share a passion for sewing too! 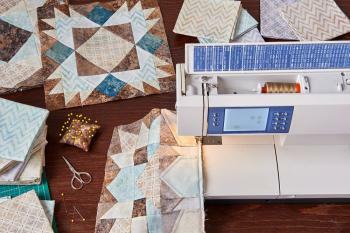 Whether there’s new fabric coming out, or a new sewing machine about to hit the market, you’ll hear about products and resources in sewing groups first. People who sew are good at accumulating large amounts of fabric they may never use, and quilters are excellent for upcycling scraps and turning them into something beautiful. Sewing groups open doors for your fabric stash to evolve from someone else’s favorite quilt. 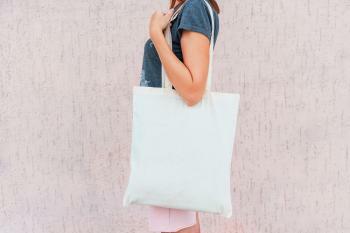 You can also share fabric supplies with many non-profit organizations as well. Local organizations are great for putting these events and opportunities together. Constant learning and advancement are part of enjoying any hobby, and the best way to advance is with a little critique. Get input from a sewing group on your technique, skills and current projects. Costume fabric, delicate lace or faux fur are all daunting fabrics to those new at stitching. Don’t let new techniques or tricky fabrics scare you. Grab your portable sewing machine and head over to your sewing group for some well educated advice. Ask the members how they tackle a particular fabric and if there are any tricks to save you from having to scrap your project. Non-sewing friends and family members won’t provide stimulating conversation when you need to talk about your latest project. Talk to people who help you think creatively and are excited to swap patterns or fabrics. If you’re a little competitive, suggest a challenge. If you’re looking for a group with more cohesion, try themed project-months. Sewing is fun, but it’s more fun when you collaborate and meet new people, rather than sit behind a sewing machine alone! To impress your sewing-circle with your latest project, check out our high-quality sewing notions and tools from GoldStar Tool.